The Halifax AFL is set to lose another two sides for next season. Division One outfit Mixenden United and Division Two team Stainland United announced their intention to quit at last night’s league meeting at Arden Road Social Club. Both clubs rejoined the Saturday league two seasons ago, having previously tasted major trophy successes. Mixenden were Challenge Cup winners in 1993-94 and Invitation Cup winners in 2005-2006. Stainland were the league’s top side in 2006-07, completing a Challenge Cup and Premier Division double, having also lifted the cup three years earlier. 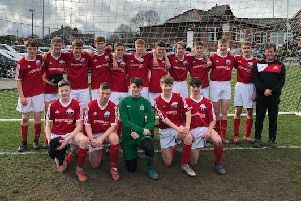 The arrival of seven new sides allowed the league to add a fourth section in 2017-18 and Mixenden and Stainland finished the season as champions and runners-up in Division Three. Mixenden were bumped up to Division One this season while Stainland went to Division Two but both failed to fulfil three fixtures at the end of this season. 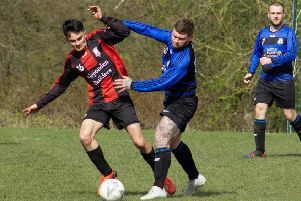 Mixenden finished in mid-table but the disciplinary problems which blighted them in the past returned and they are believed to have struggled to pay fines. Stainland found it hard going on the field, winning only two games from 18 league outings and finishing bottom. The departures leave the league with 31 teams for next season and other clubs have been struggling to raise teams, even though the winter has been mild and there have been less weather-enforced postponements than usual. The league has been hit by teams folding this season and fixture secretary David Rattigan admitted he feared more teams could fall by the wayside before the 2019-2020 campaign. Meanwhile, Denholme United told the league that they would be unable to fulfil this Saturday’s fixture at title-chasing Sowerby Bridge. They have a number of players away on a trip. The points will be awarded to Bridge.